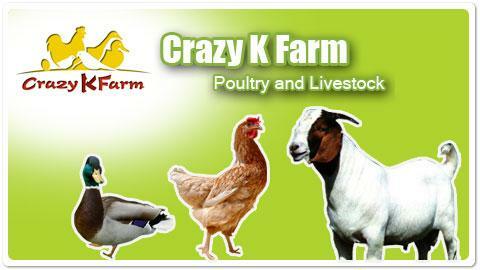 Stay on Crazy K Farm®! 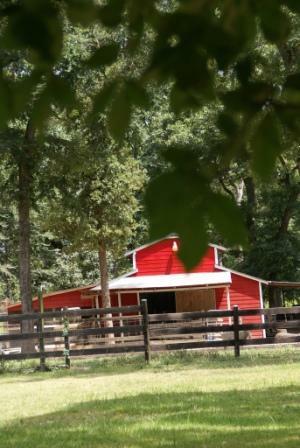 Our Cottage and Cabin are situated next door to our non-profit animal sanctuary in rural Hempstead, Texas. The two-bedroom, two-bathroom guest house and small, cozy, two-bedroom, one-bathroom cabin (original to the property) have been updated with modern amenities and offer a warm, rural, old-Texas ambiance that reflects the property's original cattle-ranch roots. Your B & B stay includes breakfast items you prepare yourself, such as cold and hot cereal and farm fresh eggs laid by the many rescued chickens on the sanctuary. Duck and goose eggs are also available by request. Proceeds from your stay support the animals on the sanctuary. Please consider helping us meet the medical needs of our rescues by contributing to our Vet Bill Fund. Even a donation as small as $1 will make a difference! Please click on the banner at the bottom of the page to make a donation and join our Circle of Friends club! You may donate anonymously. 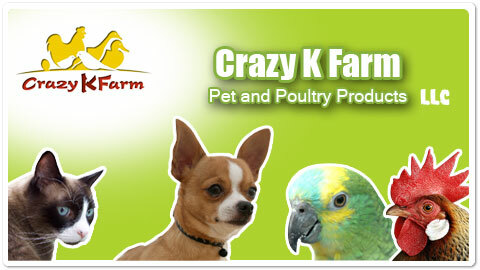 Visit our Media page to view interesting videos and articles featuring Crazy K Farm. Crazy K Farm values your privacy. We do not disclose customer information in any form with third parties. We do not keep your credit card information on file. Want to order eggs, a Hen Saver hen apron, Avian Haven hut, Kitty Holster or some live bird shipping boxes? How about an incubator or brooder? Visit our store!